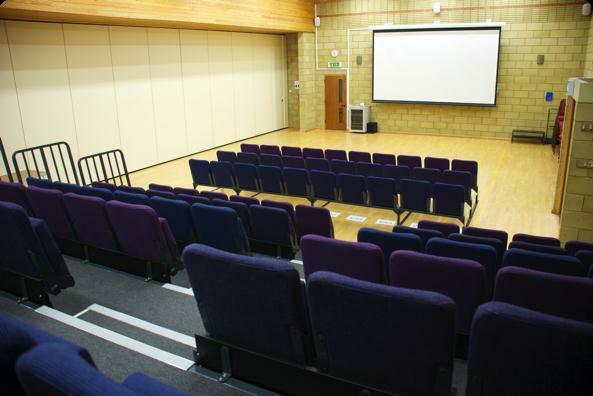 Tadley and District Community Association won a grant of £21,000 to pay for tiered seating in the Tadley Community Centre in July 2012, from the previous round of LEADER funding. The Community Association work on making relevant improvements to facilities for the communities of Tadley and the surrounding rural villages. The local community felt was there was no place to go nearby to catch up on the latest films, other than driving into Basingstoke to the cinema. They had recently installed audio visual equipment in the community centre at Tadley and started to run a community cinema. However in order to use the hall as an effective local venue, they needed to install retractable tiered seating. It would also give the hall greater flexibility to allow the hall to attract performing arts, including amateur dramatics, concerts, comedy nights, business presentations and community meetings. By being able to offer a wide range of services the community association would better be able to engage with the rural communities of Tadley, Baughurst, Pamber Heath, Pamber Green, Pamber End, Charter Alley, Ashford Hill, Brimpton, Aldermaston and provide a comprehensive facility that would support their work of enhancing the social welfare for recreation and leisure of residents living within a 5 mile radius of the Community Centre.